Possessing a credit card has become a necessity, since consumers have less time and often prefer to shop online. Using a credit card responsibly however can often be difficult. Most people struggle at a very early age with excessive credit card debt. Follow the guidelines below to ensure that you reap the benefits from using a credit card, minus the debt. Set a budget for your monthly credit card purchases and don’t exceed it. If you are tempted to purchase an item, tell yourself that you will buy it but just not this month or once you have lessened your debt. if you have a good credit rating, you can qualify for a lower credit card interest rate. If you make sure your balance does not go past 2 months, you will not have to pay large interest rates, which will just add to your debt. Do this buy budgeting your other expenses and adding a set monthly credit card payment into your budget. 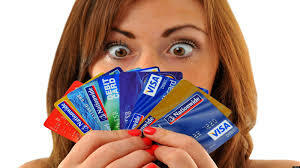 Credit card rewards can be misleading, since sometime you may make a credit card purchase just to gain the rewards. The rewards might not outway the interest that you will have to pay later. Special interest rates are usually offered to new customers. These offers run for 3 – 6 months. Make sure you make a note of the date these offers cease and make payments before hand to bring down your debt.